Product prices and availability are accurate as of 2019-04-18 13:04:46 UTC and are subject to change. Any price and availability information displayed on http://www.amazon.com/ at the time of purchase will apply to the purchase of this product. Author Bookstand is proud to offer The Actor? A Thriller and Love Story at the Height of the Cold War by Bookstand Publishing. Bookstand Publishing offers books by the best indie authors throughout North America and the world. Bookstand Publishing is dedicated to offering original content to a broad audience and promoting great authors, literacy, and freedom of expression. The Actor? A Thriller and Love Story at the Height of the Cold War has generated a lot of interest and excitement and we think it would be an excellent addition to your library. George Toomey is a successful Broadway actor. His life is one of celebrity, leading ladies, and dinners at Sardis. At home in his 12-room penthouse with a view, he has a beautiful wife and two daughters. One day in 1959, everything changes for George. 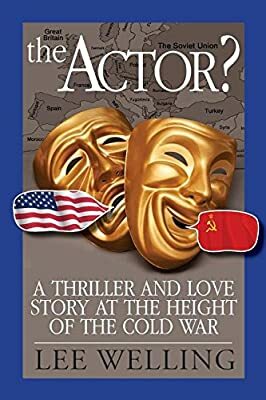 He is approached by the CIA to enter the U.S.S.R., during the Cold War, as an entertainer in a cultural exchange tour. The job is simple: handle messages and documents given to him and, of course, give a stellar performance that will make Russian audiences fall in love with him. Behind the Iron Curtain, however, the job gets more complicated than George or his handler could ever have anticipated, and lives, secrets, and countries are put on the line. What unfolds is a fast-paced thriller, filled with danger, mystery, and state secrets. Will the United States and the CIA back George up when the mission goes wrong? Will George escape from the KGB agents who have made it their sworn mission to kill him? The spy game is one that George isn't prepared for... will he learn how to play it in time to save his life? George's story is a metaphor for resilience, to which everyone can relate.